Here is a document produced by one of our members, Gerald Pottern. This should answer basic questions but if you have further questions please ask in this forum. Excellent guide--thank you! I'm currently working with estuarian species, however. Has anyone put out a similar guide for those? I agree an excellent guide, but I saw two small mistakes, both about fish needing live food. I had no problem with my darters or my pirate perch taking frozen food. They adapted to it immediately. Very nice. I think it is a must read for anyone considering keeping native fishes. Most of their basic questions will be answered, but more advanced questions for particular setups (breeding, or biotype) can be posted in the proper forum. A BIG thank you to Gerald. The document states that they take to frozen foods: "Most darters, mudminnows, pirate perch, swampfish, pickerel, and pygmy sunfish usually require live, fresh or frozen foods on a permanent basis. Feed as much variety as possible to ensure adequate nutrition." A small conflict between the feeding section and the fish groups section then. Not a big problem unless someone just skims it and misses something. With darters, some fish do and some don't adapt to non-living foods, and it's not always predictable by species. I wanted to make sure anybody bringing home darters (especially beginners, the target audience) is aware they might have to keep live foods on a long-term basis, and not just assume the fish will adapt to "regular fish food". This is an excellent and much needed document. We all owe Gerald our thanks for taking the time to put this information together in one article. I especially appreciated the section on field collection. I see no inconsistency with the feeding recommendations. Indeed, individuals within species sometimes adapt to commercial foods, while others refuse. And while some fish may get by on flakes etc. they might not thrive. Gerald has noted this throughout this document. Super work - and thanks again. Wish I could open it Is it too long to copy and paste in the comments? Any other suggestions? Thank you. I tried, apparently it is. Maybe Gerald can do something with it. It opened fine for me (as a google document). Why could you not open it? It is 15 pages, so not easy to just dump in a thread here. Would it work better for you if it were a .pdf document? Opens in Word just fine as well. A pdf would be perfect. I don't have word. Is that doable? It says file type not supported. Hi Cricket -- Here's a PDF of a slightly updated version, but still pretty old -- many of the web links have undoubtedly changed. Hey Gerald, if you want to update this we could also put it on the website. then it would be worth it to just put the full text in a browser window... or actually would be easy to make a pdf of whatever you want and have it open the pdf in a browser window. Let me know. We can do this. Edited by Cricket, 17 September 2017 - 11:57 PM. 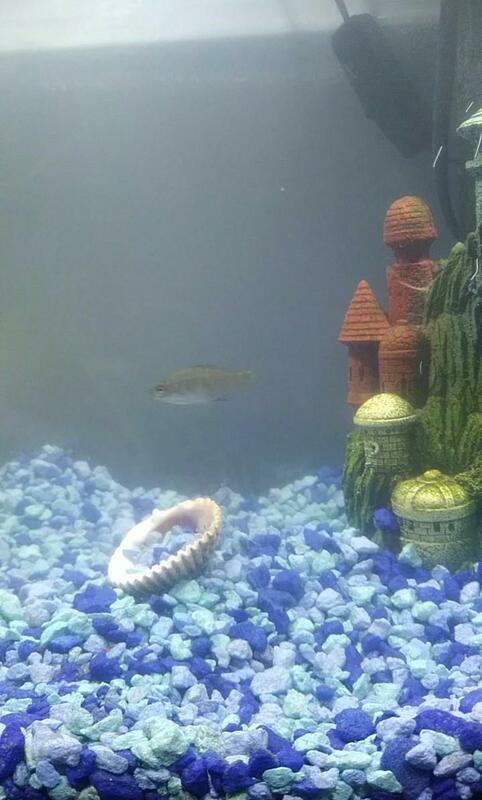 It's not a very good picture but my little brother had found this little guy stuck in a fishing net today in our lake and he begged to keep it and eventually brought it in and we put it in a ten gallon with a filter and such but he's dying to know what it is. 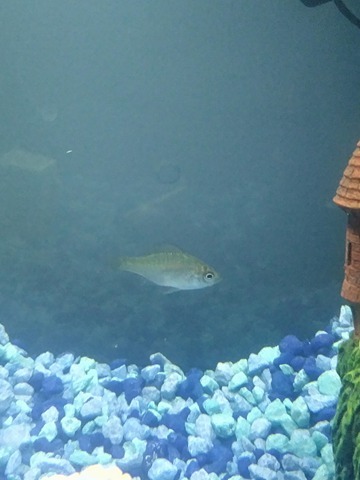 I've looked around and I've been lead to believe it may be a very young bluegill but I was hoping maybe one of you could figure it out even though the picture quality isn't the best. Edited by Savannahhh, 26 May 2018 - 09:14 PM. Edited by Savannahhh, 26 May 2018 - 11:02 PM. Hard to say but it does look like a bluegill.